Bodrum formerly Halicarnassus. The city is situated on a beautiful peninsula and Bodrum is also the premier yacthing center in Turkey. 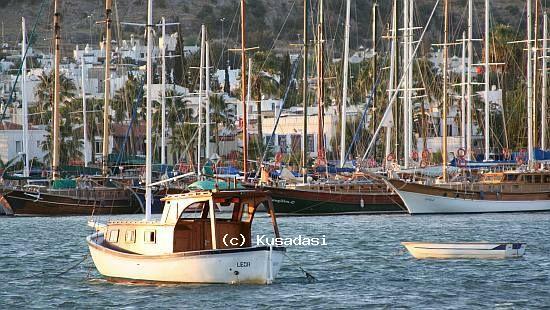 Bodrum has a great history. The city is home to the tomb of Mausolus, one of the Seven Wonders of the World. And also home of the famous Greek historian Herodotus. Bodrum Castle, The Mausoleum, Amphitheater, Myndus Gate are also worth for sight-seeing. Having a boat trip will let you explorer the Gulf of Gokova and it faces to Greek Island of Kos. While the nights in Bodrum town itself are noisy, crowded and vital and nights are long with full of fun.